Before "the teachers let the monkeys out", I finished up my Kellynch Cardigan. Whoohoo! If you follow me on Instagram, you've seen these pics over the past few months, but I wanted to do a little review here on the ol' blog. As you may recall, I had a little bit of an adventure with the yarn (madelinetosh tosh merino light in Envy). When doing a little yarn crawl with my fantastic cousin back in March, we could only find two skeins, but I HAD to have them. Then I was back at Knitty City the following week for something completely different, and we ended up looking through a bag of madtosh (oh, heaven!) and found a third skein of Envy where it should not have been (bags are grouped by dominant color). So excited that we found a third skein of TML in Envy @knittycity today! Now I can start knitting a #kellynchcardigan for me. KAL, anyone? What better way to start Spring Break than with a Kellynch Cardigan KAL (need my own and this Envy color called my name). So, I knit away on the stockinette portions, knowing that the lace yoke was going to be so. much. fun. And it was! Definitely expect this structure to show up in another pattern some time. To make the whole thing even better, I found the most perfect buttons at M&J Trimming while shopping for buttons for the forthcoming Jane Austen Knits (publication month: November 2015). 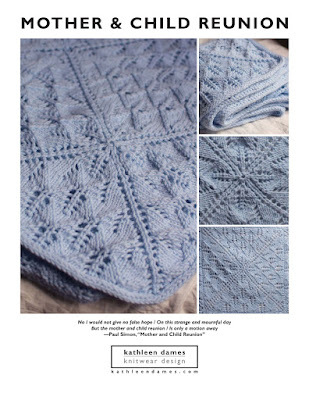 While I won't be able to publish the pattern in my Ravelry store until October, you can create your own from Jane Austen Knits 2014* (Interweave digital edition) or purchase the Interweave version of the pattern here*.